In the Press: Seeing Double? The Augusta PR machine is churning out some pretty good coverage! 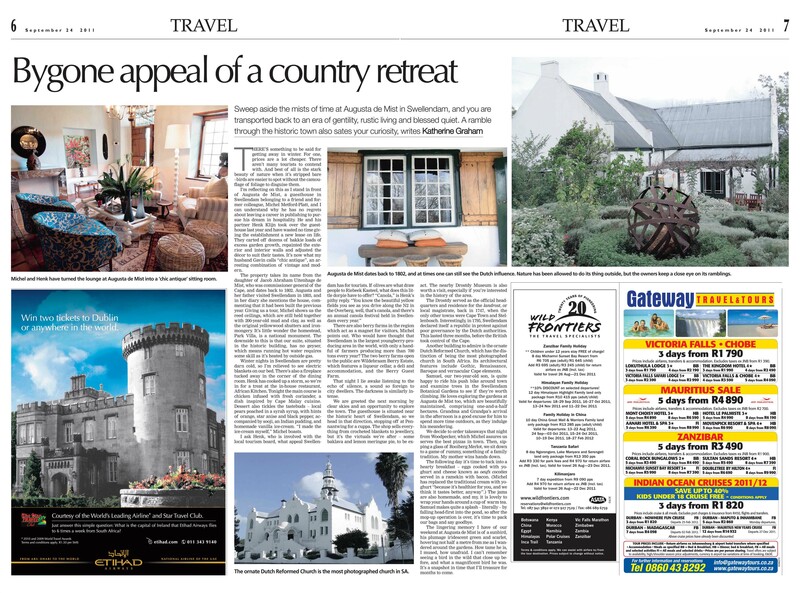 We are happy and impressed with the IOL team for running the article above in the Weekend Argus this past weekend, two weeks after running it in the Star Weekend in Gauteng. 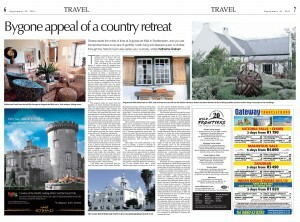 It’s a great article and it mentions quite a bit about the town of Swellendam and also has a really relaxed editorial feel about it as opposed to some of the more fomal reviews that sometimes get published.